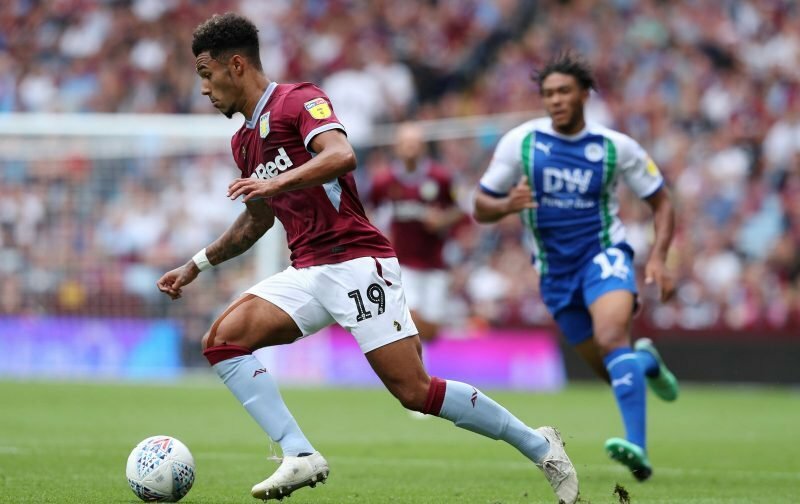 A number of Aston Villa fans were confused when young winger Andre Green headed out the door back in August on a loan spell with League One side Portsmouth, but others could see the sense in the trying to get the lad some more regular game time given the wingers we had, by then, on our books. The 20-year-old didn’t have the best of spells as a long-standing injury hit and the decision was taken for him to undergo surgery – much to the surprise of Pompey manager Kenny Jackett who seemed unaware of the problem. He didn’t quite get the run of games he was hoping for, starting only six times and appearing from the substitutes bench six times. His impact from the bench, when back fit, was good though and having returned in November, he scored in four straight games and returned to Villa with five goals under his belt. Quoted by the Portsmouth News having recalled him back and thrown him straight back into the team for the Hull city clash, head coach Dean Smith explained his decision. Good, positive words for the gaffer and undoubtedly we all know there are plenty of things that Green needs to work on in his game, but from our perspective whilst he has the potential, it suits Smith and us far better for him to get the game time to develop more than it does keeping another clubs’ player fit and in form. We’ve had too many short-term outlooks at Villa over the past few years, it’s about time we started planning for the future. Green now has a real chance to show he can be a part of that.